Who says you’re wasting time perusing Facebook? Tell them, through game engagement, you’re increasing the size of your savings account. While Facebook is well known as a platform for socializing, many resources are available through the service, including those lending financial lessons. 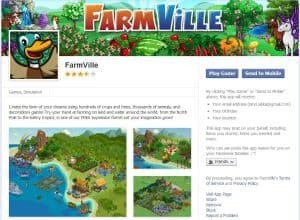 Games, such as Farmville, teach lessons applicable to the real world. Not all ‘games’ are for strict entertainment, these following applications actually help people save. 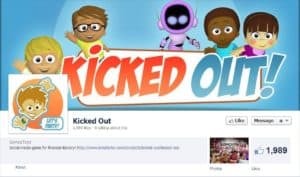 Appropriately named for young adults who suddenly find themselves away from their parent’s nest, ‘kicked out’ into the harsh world, Kicked Out teaches financial lessons. As young people are finding, it’s hard to make ‘ends meet.’ Gamers grow their online characters into the real-life champions they always wanted to be. Twenty-somethings now have new reasons to peruse Facebook; but, it’s not to tell mom and dad they’re still looking for a job. It’s to learn financial lessons. Penny Drops allots gamers a certain amount of ‘currency’ every few hours. Players are allowed to allocate given tokens depending on interests in a number of available vendors. Players learn the benefit of saving for particular items as well as alerting friends of available deals, unlocking more specials and opportunities. The process of in-game saving allows players to learn valuable financial lessons related to giving into impulses and saving for particular wants. 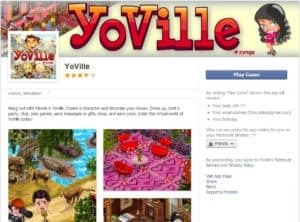 YoVille allows players to live the life they always wanted (all at the comfort of their home computer!) What profession have you always wished you had? Where have you always wanted to live? What size did you always want your savings account to be? You can do it all in YoVille. Take a few practice spins in YoVille; apply lessons learned into reality. Have you ever watched a turn-it-around television program featuring failing restaurant owners? Have you ever thought you could fare better? Restaurant City provides players with the opportunity to run their own establishments, addressing real-life accounting concerns. ‘The books’ warrant balance; but, the bottom line is contingent on success and operations, all at the hands of gamers. Howdy, cowboy! 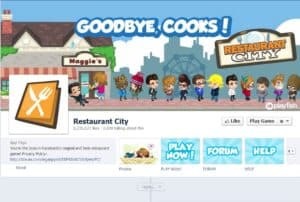 Like Restaurant City, Farmville gives players the ability to create and build. However, in this game filled with financial lessons, one plays the part of a farmer rather than restaurant owner. They say you can’t build an empire in a day. Well, you can’t build a successful farm in one day either (the same goes for a large savings account.) A prospering farm needs a patient farmer in real life and in Farmville. Address crops; budget given resources; and learn valuable real-life financial insights. It’s not always fun to concern oneself with ‘book balancing.’ Moreover, some of us are not very money savvy. 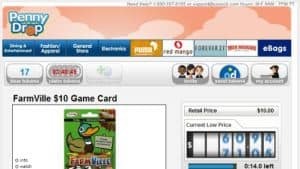 However, the process of gamifying finances, engaging in virtual realities, and learning lessons to apply to the physical world, is both entertaining and financially enriching. Wasting time on Facebook? Not you. Tell doubters you’re learning. When was the last time you could tell someone you’re boosting the size of your savings by playing games online? You can start today. Checkout the above Facebook resources; learn finance while having fun. Author Bio | Amie is a freelance frugal savings expert, she visits sites like fairinvestment.co.uk for high interest accounts like Fixed Rate Bonds and different investment opportunities, to help make the most from her capital.